In a Ford Zodiac, Richard Wilson drives the circular route from Caernarfon that loops through some of Snowdonia and gets a Welsh lesson at Caernarfon Castle. 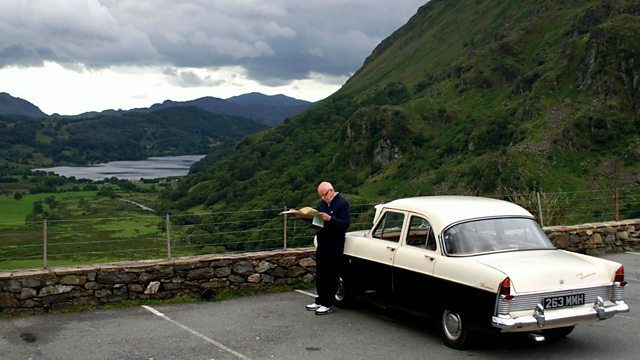 Actor Richard Wilson takes a journey into the past, following routes raved about in motoring guides of 50 years ago. Richard takes the wheel of Ford Zodiac to drive the circular route from Caernarfon that loops through some of Snowdonia's most sensational scenery. He gets a Welsh lesson at Caernarfon Castle, learns the significance of the Dinorwic slate quarry, drives the Llanberis Pass, meets 71-year-old human fly Eric Jones and takes a trip down memory lane at a former Butlins holiday camp.